Security and Protection of WordPress - SAPOW! BROWSE SAPOW! FEATURES BELOW & USE THE FORM TO GET SAPOW! Before we take control of a WordPress site we analyse the setup for common and potential issues. Once identified, we resolve these before they cause disruption. WordPress updates occur regularly, with 38 releases of version 4 in the last 18 months These core core updates often upgrade security features to protect against the latest exploitations and security holes. Plugins improve the functionality of features across the site, but need to be maintained as an outdated plugin can create vulnerabilities for hackers to exploit. These have been responsible for some of the worst security issues in recent years. Our Australian based hosting service is included in the cost. We also renew your domain registration and install an SSL certificate (improving security and SEO setup simultaneously). Our service includes daily scans for us to detect and resolve any issues and prevent users encountering spam from your site. Malicious assaults, outdated plugins or even user error can cause irrecoverable loss of data, so our service includes daily backups of your website code and databases for rapid issue resolution. Unless continuously monitored, downed sites can go undetected. Our system immediately notifies us if any downtime occurs. Also included is free access to our training manuals for WordPress to grow in house knowledge. Email Us To Learn More About SAPOW! 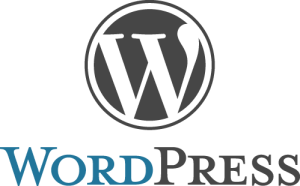 WordPress is the number one Content Management System (CMS) globally, with over 250 million sites using the platform at time of publishing. It’s no wonder there are so many poorly managed and vulnerable WordPress websites in our digital business community. The popularity is due to its cost effective development and simplicity of making content changes, but its accessibility makes it a double edged sword. More than 30,000 websites are hacked every day, often due to a lack of regular maintenance. When not cared for properly, websites are far more vulnerable to hacking loss of function and even going down with a loss of all data. Software updates and security fixes for devices are released all the time, but people often forget to treat their websites with the same care and attention. WordPress sites are regularly neglected after launch as many developers move on from their client after the project is finished with little acre for proper aftercare procedures. With only 50% of installations running the latest releases – meaning that more than 125 million sites are vulnerable.